If you’re suffering from OA – you probably saw that weather changes worsen your pain. And that’s 100% true – weather affects arthritis. So what exactly can you do about it? Taking a holiday might help. But where exactly? Which are the best places to live with osteoarthritis? But first – let’s see what kind of weather you should be aiming for. Before you choose the place to move out to (temporary or permanently) – I advise you to check out 3 main points. So try to avoid a city that’s close to the ocean/sea. These places are usually more humid – so there are high chances that your pain worsens. Surprisingly – the hotter weather, the better for someone with arthritis. 3. Constant Temperatures – that’s even more important than hot weather itself. If your body gets used to a certain temperature all the time – chances of flare-ups decrease. So choosing a climate with similar weather all year long would be really helpful. This state is surely the perfect place for arthritis – whether it’s RA or OA. Weather is very hot all year long. Generally, barometric pressure is high (with few fluctuations). Air is fresh and dry. Now – temperatures don’t drop too much in this period. But the pressure does. So that’s the only thing that could trigger a flare-up in your pain. 3. Conclusion – Overall, Arizona’s weather is the best for OA (at least in the US). The rainy season is very short. And other than that, the weather is very hot all year long. So your joint pain could stay lower for 98% of the time. I think it’s worth it. This city can be a prefect place to live with arthritis – due to its dry climate. However, this place isn’t right for everyone – so you can choose any city from Nevada instead. The weather is really similar. Desert climate all year long (with constant temperatures). Rain and storms are very rare. Barometric pressure is high and constant. Compared to Arizona, Nevada’s weather doesn’t have a main rain season. That might seem great. However – when it rains in Nevada, it usually lasts longer than in Arizona. For these reasons – Las Vegas isn’t really the right place for seniors. 3. Conclusion – Nevada has a great climate for arthritis. If you’re young and enjoy the nightlife – Las Vegas can be the perfect place in the world. But if you want a more quiet place, any smaller city would be fine. The climate from New Mexico is quite similar to the one from Arizona. However, some of the main cities are in the mountains – so they have a lower pressure (which is bad form arthritis). But Albuquerque seems to be the exception. Warm and very dry weather. Surrounded by mountains – so there’s very little rain or snow. Humidity is low all year long. Temperatures aren’t as high as in Arizona. Basically – Albuquerque’s major advantage is the warm climate, not the hot one. If you can’t stand high heat, it might be a much better choice than Arizona. Falls and winters are colder. Even though there’s little snow, temperatures do decrease. So during this time, you might not like it as much as in the summer. 3. Conclusion – Either way, Albuquerque remains a top recommendation for osteoarthritis. If you’re looking for a place in the south – I recommend it over any other city from New Mexico. California’s weather is also really suitable for OA. However, life in this state can be pretty expensive and noisy. That’s why I prefer San Diego instead of L.A. or San Francisco. Temperatures are very constant all year long. There’s less humidity than in other CA cities. Many clinics and hospitals nearby. Warm weather most of the time. Now – San Diego’s temperatures are way lower compared to Arizona. But this city has a very constant weather – which can benefit your OA. Life in general is more expensive than in other states. But these are just minor downsides – so you should add the city on your list. 3. Conclusion – among all Californian cities, San Diego is probably the best one for arthritis. Despite being close to the ocean, it has a low humidity and few precipitations. So it’s the kind of weather that it perfect for OA. Florida has a mediterranean climate – which means the weather is very mild. But as it’s close to the ocean, there’s also lots of humidity. However – the norther part is better, from this point of view. Weather is very gentle in the north. Constant temperatures all year long. Winter and fall are very mild, with high temperatures. Many clinics and acupuncture practitioners. The climate from Florida isn’t as hot as in Nevada or Arizona. Plus, as it’s close to the ocean – there’s less dryness. That’s the main reason why I recommend the northern part of the state – the humidity is much lower and the air is drier. Life is also expensive here. Risk of hurricanes in certain seasons. Lots of tourists – so it’s not very quiet. However, the north is more quiet compared to the south. So choose a place that is far from the ocean and you should be fine. 3. Conclusion – Northern Florida is still a pretty good place to live with OA. 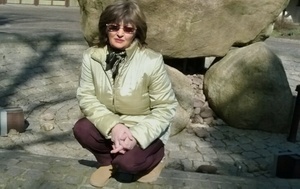 It has a nice weather all year long, many clinics and hospitals and sunny days. If you afford living in a more expensive state, this region is really worth it. Australia’s hottest big city is surely a great place for OA. Weather is really hot all very long (similar to Arizona). Very little humidity in the hot season. Cheaper than other cities from Australia. Though I never visited Darwin personally, I think it’s worth seeing at least once in a lifetime. There is a rainy season (especially in January). Temperatures don’t change a lot, but humidity does. Life is Australia is pretty pricey. 3. Conclusion – Darwin remains the best Australian city for OA, in my view. But despite the hot weather – there are also a few rainy months. If you’re willing to deal with that, this city is a great choice. If you’re in Europe, Greece is an excellent place to live with arthritis. However – choose the northern part, as the south all surrounded by sea. So humidity is much higher. Mediterranean climate with very little rain. It’s really hot in the summer. The northern part has little humidity. Fresh air and mediterranean diet can also help OA. However, avoid cities that are in the mountains. The pressure is lower there, so that might cause a flare-up. Not so many hospitals and clinics as in the US. Weather isn’t that hot in the winter. Basically – weather gets colder in winter in Greece. There’s rarely snow – but still, humidity increases. 3. Conclusions – Besides being a vacation destination, Greece is also a great place for OA. Especially the northern part – which is far from the sea. If you like the idea of living here, your arthritis will surely benefit from that. Some regions of this country have a proper weather for arthritis. However – you need to be very careful. Meixoc’s climate can be totally different, depending on the area. Out of all cities – Guldalajara is probably the best city for OA from this country. Temperatures are constant all year long. Humidity rates are pretty low. Out of American cities, it’s one of the best places for OA (in terms of weather). Life in general isn’t very safe. There aren’t as many specialized clinics. Rain is common in certain months (even in Mexico). So it’s surely not the perfect place – despite having some good points as well. 3. Conclusion – Mexico is a pretty good place for OA. It has a nice climate all year long, but there are chances of rain in several months. So if you happen to live in Mexico, moving out to Guadalajara could improve your OA. The weather from Spain is similar to the one from Greece. And out of all the cities – Sevilla seems the best for OA because of its southern location. Warm weather all year long. Summers are really hot and winters are mild (with little rain). Very healthy eating habits (that’s anywhere in Spain). Now – many Spanish cities are close to the sea. That’s a bad thing – because they usually have more humidity. Well, Sevilla in inside the country – closer to the mountains. Quite a few specialized clinics (compare to the US). A bit too hot in the summer. It may be hard to adapt if you live outside Europe before. However, there’s no major downside about Sevilla. 3. Conclusion – In my opinion, it’s one of the best cities in Europe for OA (if not the best). The very dry climate can decrease joint pain alone – on the long term. So if you plant to visit Spain, make sure you get to Sevilla. At least for a few days. If you don’t want to move far away – that’s the best solution. You should find a region with one of these 3 climates pretty close. And that should solve the problem. Places with desert climate: Arizona, Nevada, Utah, central Africa, some parts of Australia. However – continental climate usually has cold winter, which might be a problem. Places with continental climate: Most states of central US, biggest part of Europe. Places with mediterranean climate: Florida, California, southern Europe, northern Africa. So What’s The Best Place To Live With OA? Short answer: Any that has a really hot weather, little humidity and constant temperatures. Also, it shouldn’t be too close to water or high in the mountains. So – what could be that place? Now – there are some other options besides these. But their climate is really suitable for osteoarthritis – so you can take them as a model when analyzing a certain place. Where do you live? 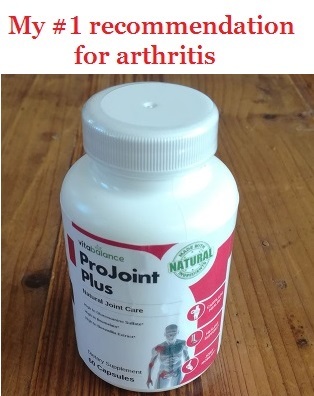 Is it helpful for your arthritis? What’s the place you would move in – for the sake of your OA? Which would you choose from this list? Let me know your answer, questions or suggestions in the comments below. Hello Heather and thank you for your guide! I live in Wisconsin with my wife and have been considering moving out to the south. We both have osteoarthritis so we were looking for a better place to live (here it’s cold most of the year). New Mexico would be out regular choice, but I’m afraid life there would be too stubborn for 2 people like us who grew up in Wisconsin…We will also consider Arizona or Nevada, these 2 sound like more adequate to our temper (but surely not Las Vegas). Thank you for your recommendation, this guide is extremely helpful. Hi Jess, I’m happy you found this article useful. New Mexico can be hard to get used to, especially if you’ve always lived in a quiet state like Wisconsin. I could also say that about San Diego, California or any city from Florida. They tend to be more noisy and full of people. I agree that Arizona and Nevada would suit you both better. Maybe a smaller town, but close enough to hospitals and clinics (in case you need any). But the hot climate is just perfect for osteoarthritis. So I hope you take the right decision for your future. Good luck! I live in Flagstaff, Arizona. I’m very lucky to have osteoarthritis since my mid 40’s after being a footballer half of my life. My joints started feeling all the hard work from my teenage years and began cracking off. I’m following a treatment which is helpful, but I’ve been doing my own research in the past years. That’s how I found out that weather and the foods you eat can have an impact on your symptoms. I live in Arizona, which you state as a great place to live in with arthritis. But it’s not really so, at least not my town. I admit that it’s really hot here, probably all year long. But we still have rain in my area…You also mentioned low pressure, which we also have here. My town is up in the mountains, so maybe that has a connection. Anyways, I’m thinking about moving out of here at one point, I just don’t think it’s the right place for me anymore (especially since I’ve developed this arthritis). Hello Leo, thanks a lot for letting me know your thoughts, it’s indeed helpful. Now – since your town is really high, the pressure is probably really low. Once rainy weather comes by, it gets even lower – so you get an arthritis flare-up. So in my opinion, that’s why the weather from your town doesn’t really benefit your OA. Try going a bit more south, in a lower place – and you will see that the pain isn’t as bad all the time. I’m pretty sure it’s the pressure, but your opinion really helps. Arizona isn’t the place of dreams for arthritis, at least not all cities. You also mentioned that foods can affect your condition – which is totally right. I don’t know if you’re working on that or not, but here’s a list of foods that are really helpful in OA. Also, there are several natural remedies that really help when combined. Please let me know if you need any other advice. I think within the US, Arizona sounds by far the best place for osteoarthritis. Vegas and San Diego’s cost of living can be and is sky high, so for me that would be the first strike. Given the fact they’re not quiet areas is another strike, too. Ditto for North Florida, though I do have relatives living around the Tampa area, on the state’s west side. But no, if I’m in this predicament, I’d go with Arizona, hands down. Hi Todd, thanks for your opinion. I totally agree that Las Vegas and San Diego are expensive places – but their climate is great. So you can choose a smaller town nearby, where life should be way cheaper. However, there’s nothing as good as Arizona – in terms of weather, climate and even cost of life.